« Goldilocks and Final Jeopardy! Win five games and you get to pick the color for a week on The Final Wager! Vaughn chose this tone as his successor, Elliot, looks to repeat as champ. He’ll need a solo get in Final, it appears. Fairly straightforward here. Remember, we save the dollar changes until the end. If Elliot doubles his score, he’ll have 11,200. 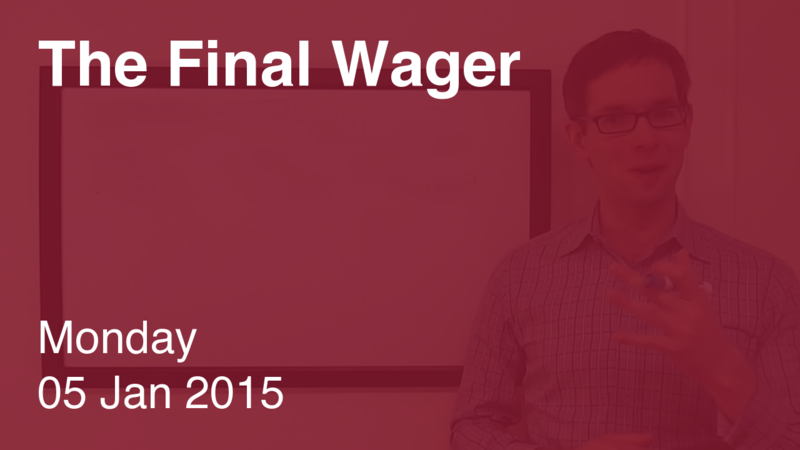 To cover this all-in wager, Dara will need to wager 2,200. An incorrect response with that wager will leave Dara with 6,800. To get above her total, Elliot must wager at least 1,200, but he really should wager everything. 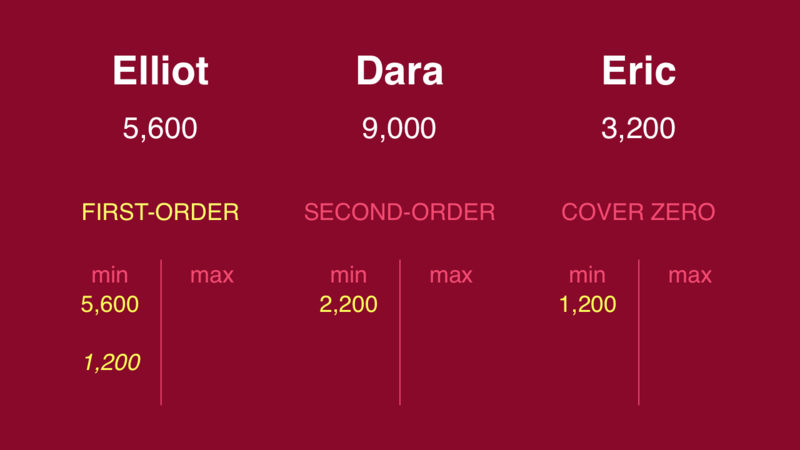 Eric is just barely out of contention – he has 3,200, which is 200 less than the difference between Dara and Elliot. He should play for second – 1,200 to cover Elliot if Elliot goes for the bare minimum. That’s about it. 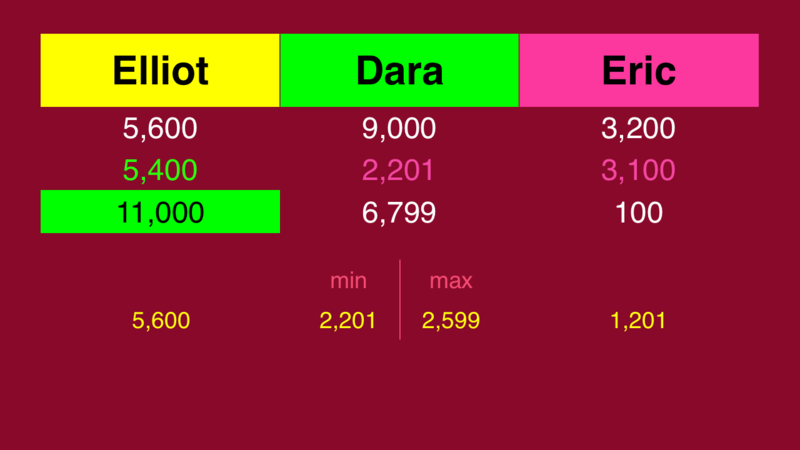 Dara can max out at 2,599 to stay above Eric. Not the best game of the season, but maybe Elliot will find his mojo once more tomorrow. Will we have back-to-back streaks? What is Helsinki, Finland (in 1952)? See my 12/23 comment for details. In the last 10 games (counting tonight) we have the following result: In 3 cases all three got it right = easy. 5 cases of 1 right + 2 cases of 2 right = 7 ok and 0 case of 0 right = hard. So that’s a “final jeopardy degree of difficulty = just right” score of 70%. So we’re back to the ever popular 70% score.